When the iPad 2 was finally released, there was almost as much buzz around the unveiled Apple Smart Cover for the iPad 2 as the product itself. The Smart Cover provides thin protection for the front of your iPad, comes in a wide selection of fun colors, and has nifty magnets that put your device to sleep when covered and wake it up when you remove the cover. What it doesn’t do, however, is provide any protection for the aluminum back of the iPad, which can easily be scratched and dinged if you’re not careful. 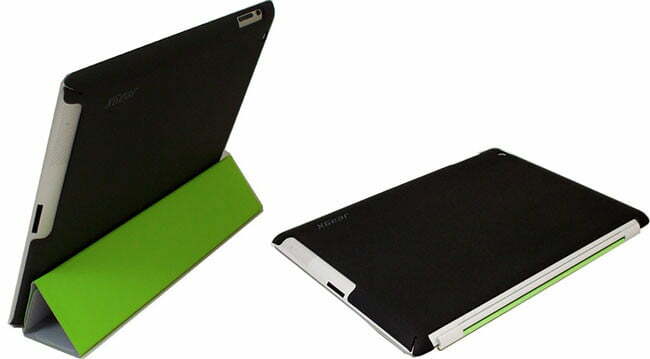 The XGearlive iPad 2 Smart Cover Enhancer ($35) aims to do exactly as its name says: enhance Apple’s Smart Cover and create slim protection for your whole device. The snap-on back cover is made from a durable polycarbonate material with a rubberized coating for protection and added grip. If you’re accident-prone or have bad luck with technology slips and falls, we might suggest something with more protection, but for anyone who is careful with their electronics, this and the Smart Cover combined is the slimmest all-around protection you can buy.